200g packet of the famous biscuits. Suitable for Vegetarians. 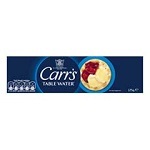 125g packet of crisp water biscuits. Suitable for Vegetarians. Ingredients: Flour (WHEAT flour, calcium,iron,Niacin,Thiamin), Vegetable Oil (palm), salt. 200g packet of crisp water biscuits. Huge biscuits!! Suitable for Vegetarians. Ingredients: Stoneground wholemeal flour (WHEAT), corn oil, yeast, salt, malted BARLEY flour, malt extract (BARLEY), raising agent (sodium bicarbonate), charcoal powder. Mini crispy pastry cases ideal for canapes and mini bites. 50g tray of 24 mini cases. Suitable for Vegetarians. 200g packet of some seriously seedy crispbreads with sunflower, sesame, linseed. Well worth a try. Organic. Suitable for Vegetarians. 200g packet of crispbread with Emmental cheese and pumpkin seeds . Great taste. Organic. Suitable for Vegetarians. 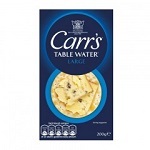 100g packet of delicious cheese straws, topped with extra cheese. 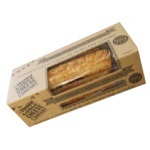 170g packet of probably the most delicious cheese straws you will ever taste. A best seller in store and second to none. Ingredients: Mature Cheddar Cheese (37%)(MILK), WHEAT flour (containing calcium, iron, niacin and thiamin), butter (MILK), water, salt, whole pasteurised EGG. No added salt, thick slice rice cakes. 130g pack. Suitable for Vegetarians. A deeply savoury and tweedy-textured, square cracker for cheese. 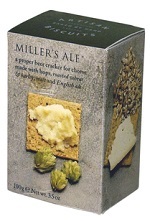 Made from de-constructed beer ingredients: hops, roasted wheat, barley and malt, plus a generous splash of English Ale. The perfect cracker to partner a Ploughman's Lunch. The miller's best idea yet.. Suitable for vegetarians and vegans. 100g carton. Potatoes are used to create a cracker base as friable as earth itself, with a texture that first crumbles then melts in the mouth. 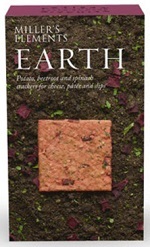 Then beetroot and spinach are added to give the cracker an earthy sweetness. You have never eaten anything quite like it. A pretty partner to a ham terrine, or a sweet contrast to a lemony-fresh, goats milk cheese. Suitable for vegetarians and vegans. 100g carton. 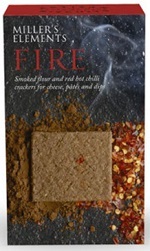 A combination of smoked flour with red hot chilli, to create a square cracker that more than lives up to its name. Smoky and fiery with a coarse and crumbly texture, this cracker pairs with its inspiration: a paprika-rich and smoky chorizo. But it is equally at home with a powerful, gooey Epoisses. Suitable for vegetarians and vegans. 100g carton. 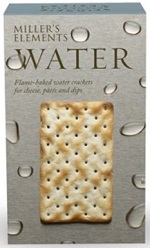 A cool contrast to the fire.The simplest and best water cracker available. Just flour and water, no salt, no anything. Flame-baked in a flash for a toasty finish. 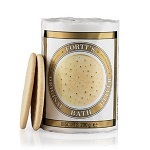 A versatile cracker with universal appeal and endless opportunities. Makes a crisp and neutral partner for cheese. Love the way butter gets stuck in the tramlines.. Suitable for vegetarians and vegans. 70g carton. 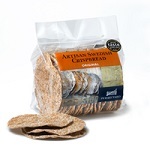 105g packet of Swedish style crispbreads. Great Taste Awards 2010 2 star product. Serve with cheese, dips or your own favourite toppings. Made to a traditional Swedish recipe in the UK using sourdough rye, milk, wheat flour and honey. 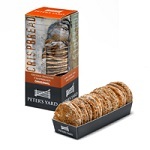 200g packet of Swedish style crispbreads. 100mm Diameter. 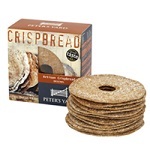 220g packet of Swedish style crispbreads. 135mm Diameter. 150g packet of bicuits for cheese flavoured with chilli. Specially suited for Cheddar. Made by the Fine Cheese Company. Please note these crackers are in the process of changing to new packaging and new recipes. We will update this page when we have the relavant pictures and ingredients. Please call or email for Allergen information. 150g packet of bicuits for cheese flavoured with olive oil. Specially suited for strong cheeses like Parmesan and Pecorino. 150g packet of bicuits for cheese flavoured with chives. 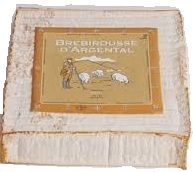 Specially suited for brie and other creamy soft cheeses. 150g packet of bicuits for cheese flavoured with rosemary. Specially suited for soft cheeses. 150g packet of bicuits for cheese flavoured with figs. 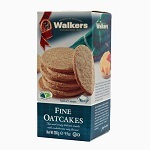 Specially suited for sheeps milk cheeses such as roquefort or Manchego..
280g packet of oatcakes made with fine ground oats. Suitable for Vegetarians. 280g packet of oatcakes made with coarse ground oats. Suitable for Vegetarians. Ingredients: OATMEAL, vegetable oils (rapeseed,palm), WHEAT flour (calcium, iron, niacin, thiamin), sugar, salt, raising agent (sodium bicarbonate), skimmed MILK powder.